Space, style and comfort under canvas, safari tents have it all. Whether your escaping with a group of friends or looking for a family-sized getaway, these classic glamping structures offer an ideal retreat for larger numbers. 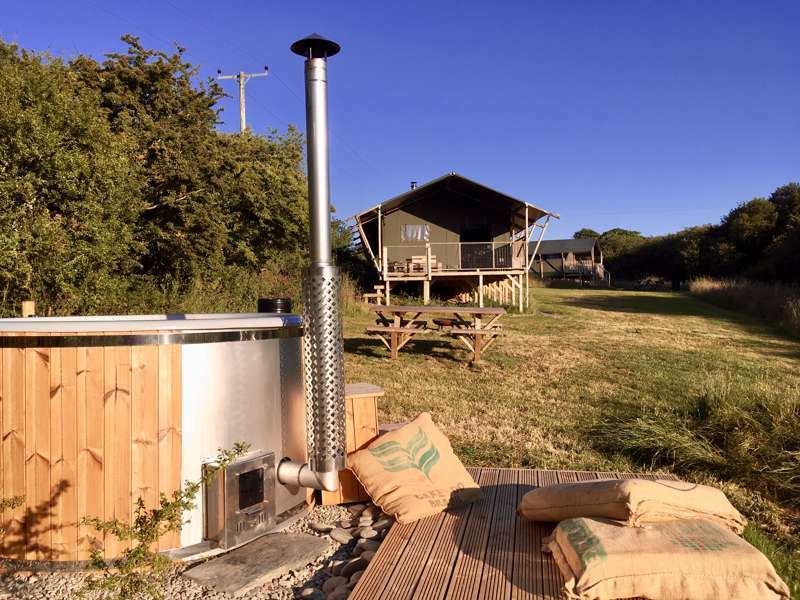 Light the barbecue, stoke the wood-burner and enjoy staying in a tent the luxury way. 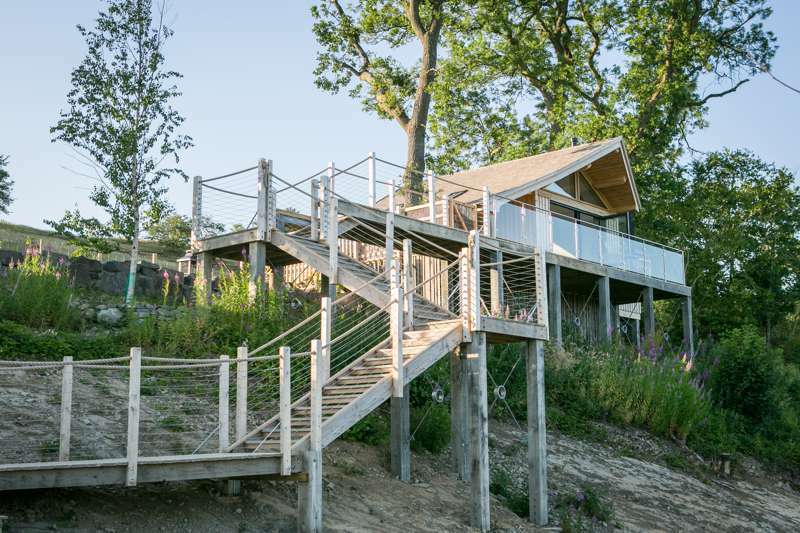 Luxury safari lodges in a class of their own, set on a 100-acre farm within Scotland's unspoiled Gartmorn Dam Nature Reserve. Hole Station is a firm favourite among the camping fraternity, which is hardly surprising given its secluded woodland pitches, campfire encouragement, and natural beauty. Family-friendly Pyrénées campsite which simply oozes peace and tranquility. A secluded camping patch in the midst of a working vineyard – as you'll soon discover, this dreamy little campsite is more than a wine-induced mirage. Rural camping in the Midi-Pyrénées, surrounded by sunflower fields and an easy drive from historic French towns. Camping on the farm a short ride away from the Loire Valley's picturesque rivers and grand castles. Gorgeous views and characterful, individual camping areas. Set between the Atlantic coast and the foothills of the Pyrenees, this sprawling slice of rural Aquitaine has been transformed into a campers' paradise. A newly-opened family-run campsite with a rural feel, despite effortless access to Granville and the best bits of the Normandy coast. The warm welcome comes with cool, shady pitches in the forest, even in high season. The most refreshing campsite pool you’ll ever swim in, plus thoughtful touches of luxury throughout. A Périgord paradise, particularly for families. Giant pitches and an onsite nature reserve at this award-winning Languedoc eco-campsite. 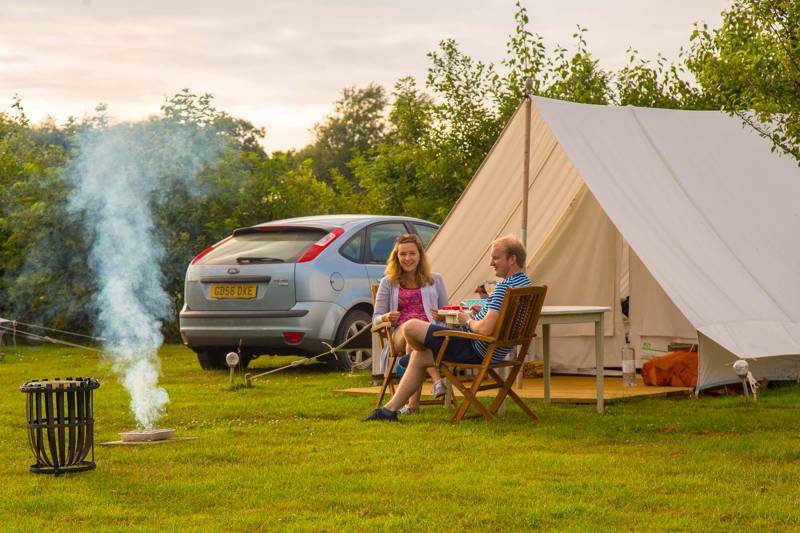 Family-run lakeside camping with top notch facilities and beautiful countryside surroundings. 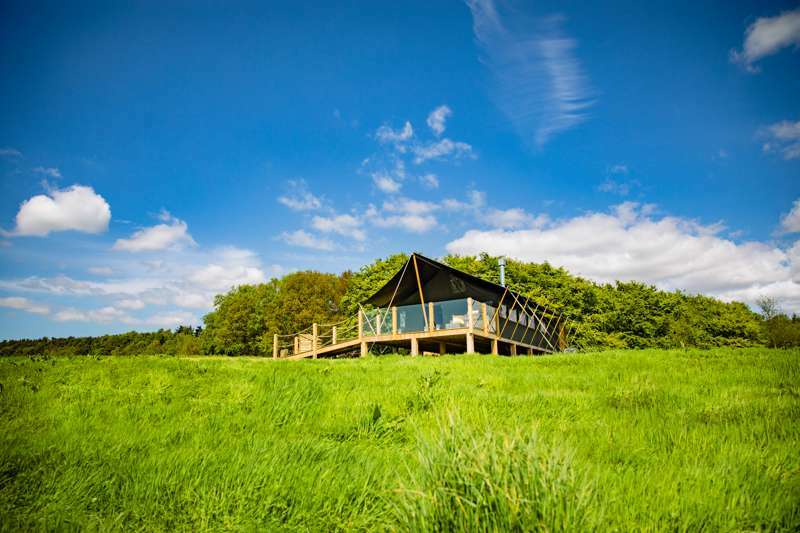 Glamping in Worcestershire: The epitome of glamping where you can experience the majesty of Worcestershire's great outdoors and all you need to bring along is your toothbrush. A large-scale camping and glamping site in the heart of the national forest beside Sillé-Plage in North West France. Camping and glamping right next to the Gorges de l’Ardèche, a camping field, luxury yurts, safari tents, a beautiful river, and welcoming hosts. One for purist campers and less dedicated 'glampers' alike, perfectly placed to discover France's unique Auvergne region. Taking camping in the woods to a whole new level in this mini-town of safari tents. This campsite is too special to leave. Lakeside camping to the north of the Loire valley with a swimming pool, restaurant and bar plus a handful of glamping options. An idyllic, peaceful escape, beautifully thought out and within easy reach of Paris, boasting a wide range of imaginative activities for all ages. Alpine camping right beside the beautiful river Clarée with brand new, modern facilities. Sandy, shady, woodland camping on the gorgeous Île d'Oléron. Woodland camping in the Alsace region, where France, Germany and Switzerland converge in a beautiful mix of rivers and hills. 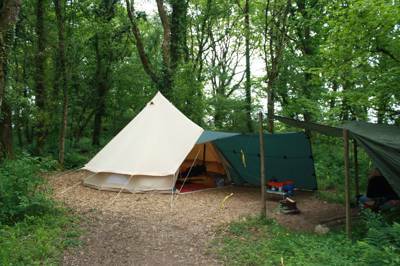 A Cornwall campsite with crafts and activities, a range of camping and glamping options and Newquay's best beaches within walking distance. Luxurious comfort a pebble's throw from the Atlantic surf. 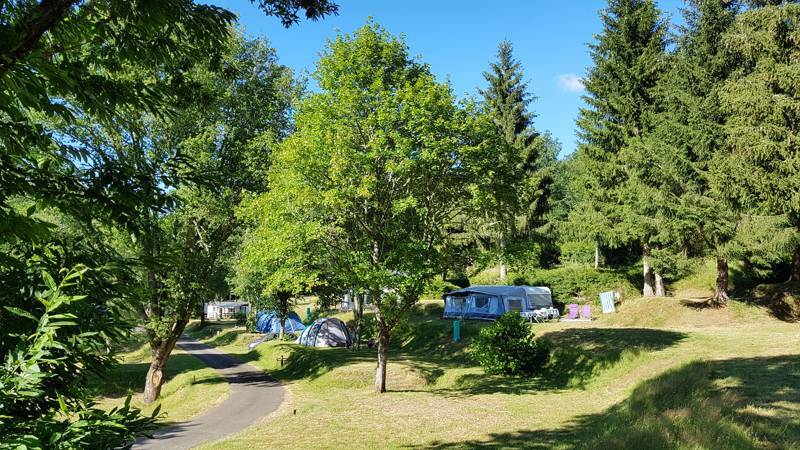 A delightful campsite with 'green' status for its beautiful, riverside location in the Dordogne close to the Limousin. Camping at the foot of the Jura mountains with Lake Geneva on the doorstep and plenty to keep you occupied onsite. A suitable pitch for every type of camper among the peaks of the Pyrénées. Well-equipped facilities and magnificent mountain surroundings. 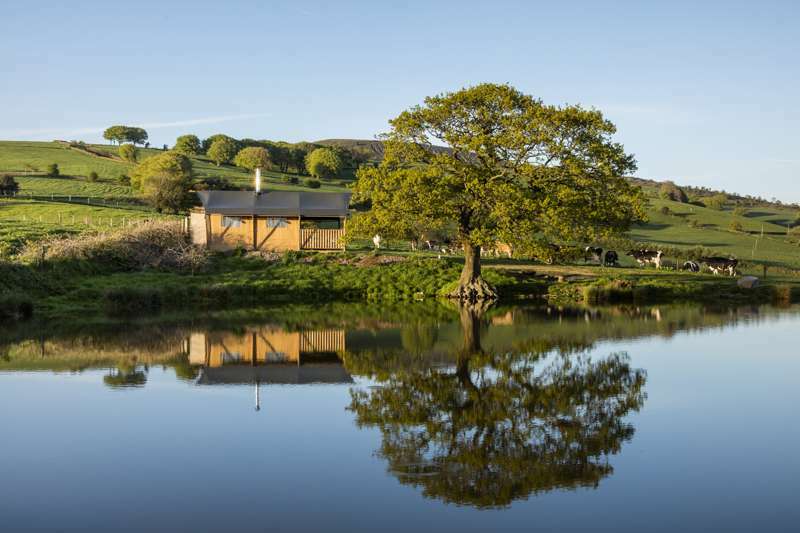 Glamping in Worcestershire: Family-sized safari lodges on the edge of the Malvern Hills with acres of natural space to explore and a 500-year-old pub right next door. 11 green glamping site acres full of fauna, foliage and open spaces that young explorers will adore and parents will be quick to relax in. Family-friendly woodland camping just metres from the Brittany coast with tantalising glimpses of Atlantic through the trees. Family camping in the foothills of the Alpilles, complete with a picturesque old town that inspired one of Provence's most famous novels. An exclusive luxury safari tent retreat in the wildlife-rich Bedfordshire countryside, with views from the hot tub to die for. 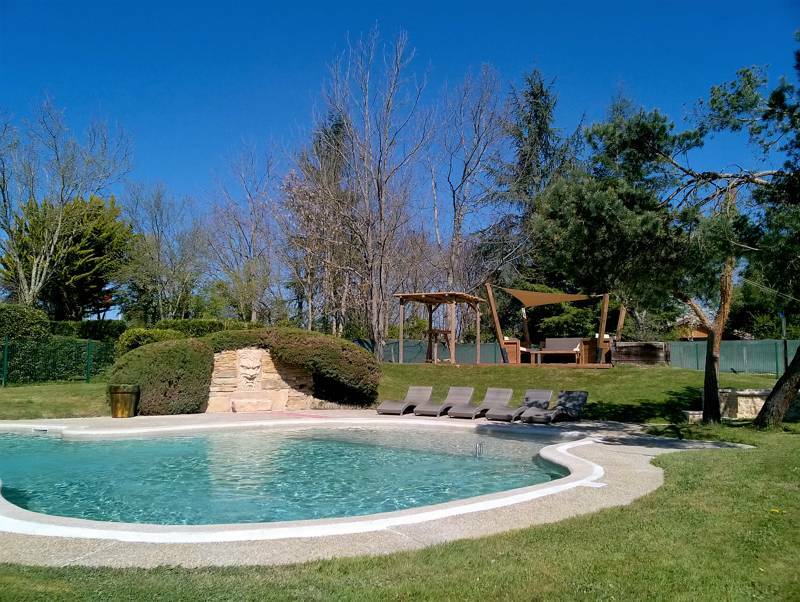 A central camping location in the pine trees of Île de Ré, with bikes for hire and a heated swimming pool. Bringing that out-of-Africa touch to foreign soils, safari tents are the perfect glamping set up for big family trips. Of all the glamping offerings it's usually safari tents that boast the most space, with room for several beds, huge living areas and wide verandas out front. 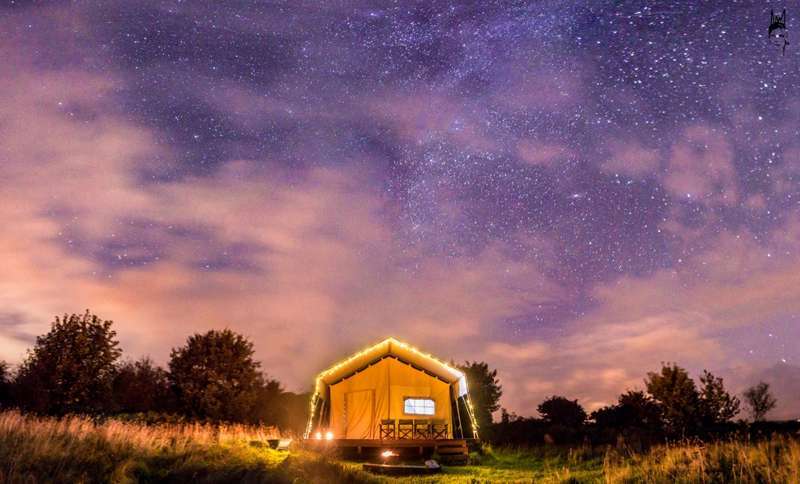 Of course, there are plenty of safari tent glamping options out there, so we've been hand picking the best of the bunch and here you'll find our guide to the top glamping sites with safari tents in the UK, France and Europe. So now is the time to get outdoors and go on safari, even if you won't necessarily be seeing the animals! What is a Safari Tent? As the name suggests safari tents have their roots in, well, safari holidays! They have been used in Africa and across Asia for centuries and are well suited to hotter climates, offering light, airy canvas shelter that allow the breeze to pass through and keep things as cool as possible. On many safari tents you can roll back large areas of the canvas to open the place up to the elements, quite literally creating a room without any walls. They are also associated with the style of military tents and medical tents, owing to their long, wide, characteristic shape and large amount of interior space. Both in this military and medical use, as well as on safaris, one of the key features is the fact that the tents are easy to erect quickly, yet provide sturdy, solid structures and ample space. When it comes to glamping, the appeal is much the same (though the length of time the tent takes to put up is irrelevant since this is glamping... all that hard work is done for you!). It's easy to see why safari tents are popular: the beautiful, natural look of the wooden frame and taught canvas tent makes it the perfect choice for natural settings, but they are also extremely durable. It's the amount of space that safari tents afford, however, that is the real clincher. Inside, separate canvas curtains can divide the tent up into individual rooms, making them ideal for dividing living, cooking and sleeping quarters, while families love the fact that children can be put to bed early in a separate room. Throw in some luxury furnishings, a well-equipped kitchen, perhaps a hot-tub, towels and bathrobes and you've got yourself some seriously luxurious living! Why Go Safari Tent Glamping? As with all glamping, one of the great benefits is the fact that you don't have to buy or transport your own tent or camping equipment. But that's true of pods and yurts too. So what sets safari tents apart? Well, for families, safari tents are a pretty perfect glamping structure. Generally, safari tents offer far more space then almost every other type of glamping accommodation and interior canvas partitions allow them to be divided into separate rooms. This means you can put the kids away at 10pm but stay out in your living area for another couple of hours, chatting quietly and enjoying the stars. Many safari tents will also have a covered veranda or balcony area as well – perfect for a barbecue – while the most up-market tents may even have an en-suite bathroom attached to the back of the tent. 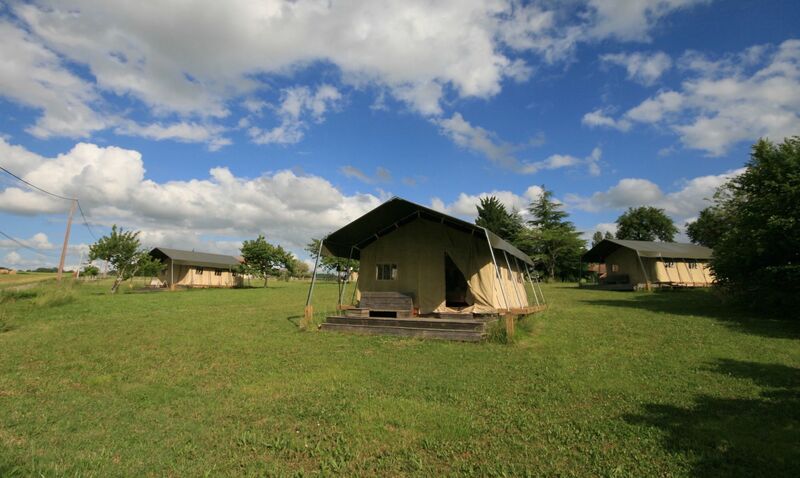 In short, safari tents stand out as a large summery space, ideal for big groups and families. They're cool, spacious and luxurious. We love 'em! – Loads of space for families. – Cool and airy, particularly when glamping on a hot summer's day. – Individual rooms provides extra privacy. – Per person accommodated, it's excellent value for money. – The luxuries of glamping but still that under-canvas camping feel. Glamping has grown hugely in popularity in recent years and glamping in France, in particular, has really taken off. If you're planning a trip to Europe then you've come to the right place. Here at Cool Camping we're always keeping on top of the latest camping and glamping trends are are constantly adding to our online collection of the greatest places to stay. Safari tents lend themselves perfectly to continental glamping, too, since they offer such a breezy, cool interior in the hotter climes of the south. There are plenty of safari tent glamping sites in France and a growing number in Spain, Italy and Portugal too. So, if your chasing the sun, make sure you check out our safari tent recommendations here on the Cool Camping website first. they're spacious and ideal for groups and families, with different rooms and individual areas. In colder climes you can zip up your bedroom and cosy away in a bunk, while in summer you can fold back the canvas doors, sit out on the veranda and soak up the sun with a barbecue or family picnic. Space is never an issue and, since you're still kipping under canvas and have instant access to the great outdoors, safari tents still offer those essential elements of the camping experience that make you want to go on holiday in the first place. It's camping without the faff and, once you throw in fully-equipped kitchens, king-sized beds, en-suite bathrooms, wood-burning stoves and a whole host of luxury furnishings, you quickly begin to realise how sleeping beneath the stars needn't be uncomfortable. Going glamping? A safari could be the perfect accommodation for you. Safari Tent Glamping, safari tents, safari tent, safari-tent, safari-tents, glamping, luxury camping, safari tent campsites, safari tent glamping sites at Safari Tent Glamping, Get under canvas in a safari tent and enjoy that out-of-Africa glamping feel with this collection of inspiring glamping sites in the UK, France and Europe. Every safari tent site has been specially selected by the award winning Cool Camping team.